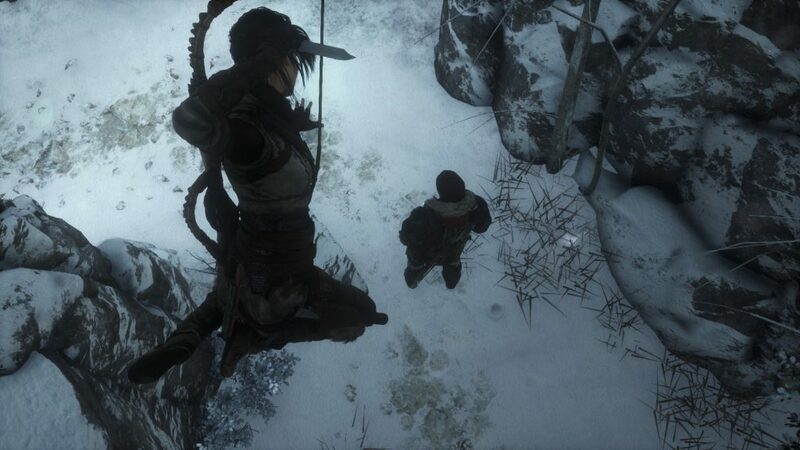 While the Tomb Raider series is a long running franchise with a checkered past garnering opinions from reverent to contemptible, Tomb Raider was one of the highlights of 2013. It was a delightful mix of storytelling and game play. Expectations for the sequel were that Rise of the Tomb Raider would be a healthy dose of more if the same. After a cut-scene getting us caught up with main character Lara Croft we find ourselves ascending the frigid mountains of Syria. She and her companion ascend a snow covered trail in search of The Divine Source, an artifact her deceased father fell to ruin searching for. 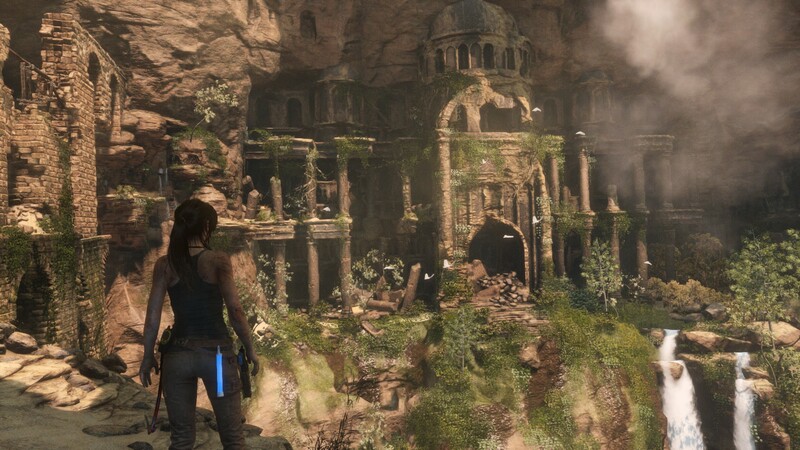 This leads to a flashback to the jungle of Morocco where Lara first crosses swords with Trinity, an organization hunting for the artifact as well. A narrow escape from the tomb followed by another encounter with Trinity while scouring her father’s notes energizes the search and leads her to Syria in a race to claim the mythical artifact ahead of them. The story progresses from one interesting location to another such as frigid forests, ancient underground catacombs and empty Russian facilities abandoned during the Cold War. Croft’s arsenal gradually improves from a makeshift bow to top of the line military gear. Her enemies graduate from rank-and-file Trinity soldiers and natural predators, eventually leading to undead warriors similar to the previous game. Carefully exploring each area reveals journals that tell the story of The Divine Source and the people guarding it, as well as those coveting it. Hidden sources can be looted for supplies, money and experience. Hunting animals, dispatching enemies, and discovering artifacts yields experience and a talent system similar to that of the previous game. 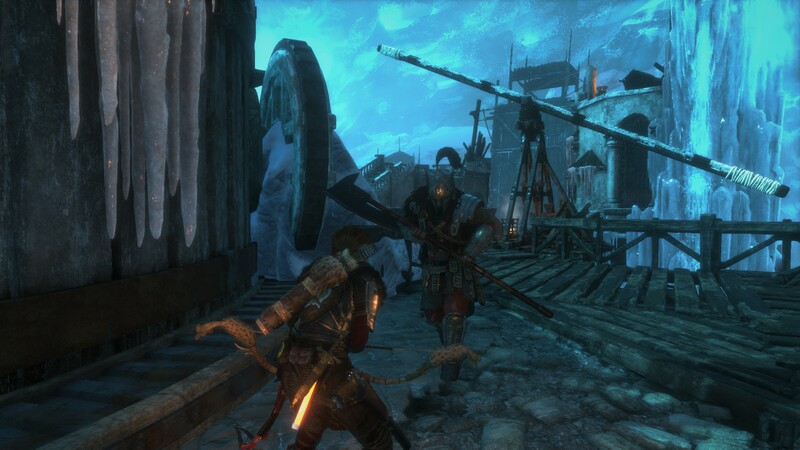 Players can upgrade Croft’s melee ability, stealth effectiveness, weapon skill or survivability. Hunter’s sight returns as well, which highlights items of interest and helps you keep track of your enemies in addition to showing you where to go in order to advance the story. Lara will pick up various resources that can be used to upgrade her weapons and craft different ammo types like grenade arrows and dragon’s breath shotgun rounds. Like the previous game, exploration leads to the occasional “Challenge Tomb” which is always an exciting diversion. These optional areas were exciting to explore, and Croft’s insightful comments kept the experience interesting and engaging. Unfortunately they are almost always short diversions that will be completed in maybe an hour. In spite of the enjoyable, if grim, story, it would have been nice to do more of this actual “tomb raiding”, where there was a nice reward when completed, but the fun came from simple exploration. These challenge tombs yielded unique rewards like special skills or a new bow. The atmosphere was outstanding, with all manner of fascinating places to explore and views to admire. The music, often little more than a distraction in most games, changed to perfectly fit situations ranging from discovering ancient underground civilizations to stalking squads of Trinity foot soldiers. Graphics and textures were sharp and clear, and there were many moments inviting players to simply stop and enjoy the view. The compelling story was a treat to unravel, though the first game told a more intriguing tale. While Tomb Raider 2013 portrayed her evolution from desperately running to avoid become a victim changing over the course of the game to an unstoppable one woman army, this game picks up where that one left off. This time battle-tested Croft has no problem with shooting her way out of trouble from minute one. The game is effective at quickly shifting from relaxed exploration to running and fighting for your life. Players usually have the option of going in guns blazing or taking a stealthy approach, a test in patience but worth it for the extra experience gained from stealth take-downs. AI control of Trinity soldiers and the various animals you encounter is a challenge even in normal difficulty. Enemies will grab cover and wait for backup, relentlessly toss grenades over your cover and squad up to flank you. Fortunately it only takes moments for Croft to heal back to full health. Elk will run long before you get close enough for an easy kill, forcing you to lie in wait and let them come to you. Leopards will disappear in the brush, then pounce when you break cover, though using an auto shotgun takes most of the sport out of the hunt. Puzzle working was only a minor part of the game, taking a back seat to exploration, combat and storytelling. 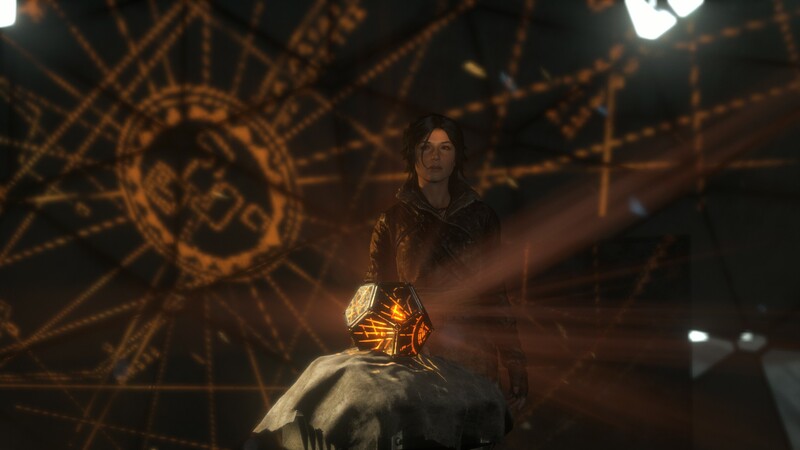 During most puzzle sequences, activating hunters vision usually caused Croft to make observations on how the puzzle could be solved, which I appreciated but rarely did I feel like the puzzles were too difficult to figure out. In one instance, time actually slowed down and Croft yelled “Now”, as if I couldn’t figure the timing out myself. I definitely enjoy a good multiplayer experience but it’s gratifying to find a game that focuses on a quality story. This game does a great job developing the title character while telling a fun story that is a satisfying chapter in young Croft’s life. Playing Tomb Raider 2013 first is highly recommended in order to get the most out of this game’s story. A worthy addition to the Tomb Raider franchise and an excellent follow-up to the origin story. 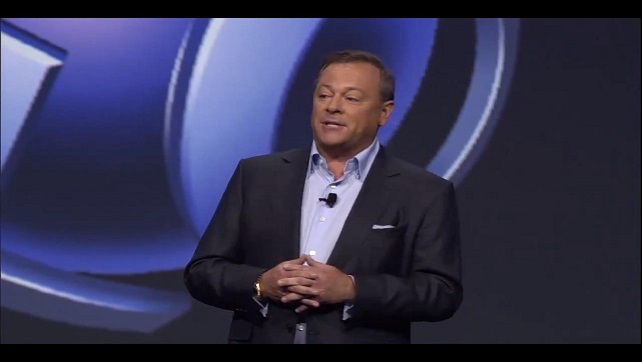 The graphics and sound are top notch while the game-play is solid and varied. The story is entertaining, and there is plenty of it. So grab your bow and climbing tools and steel yourself for yet another battle with the undead. You can find Rise of the Tomb Raider for PC or the platform of your choice.